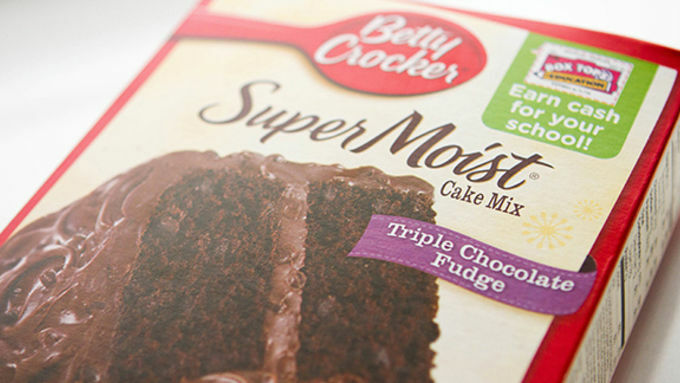 Begin with a box of Betty Crocker Chocolate Cake mix. The Triple Fudge flavor works like a charm. In a large bowl, use a fork to mix together the chocolate cake mix and butter until well combined. Press into the bottom of a 9x13-inch casserole dish. Bake for 10-12 minutes. Remove and cool. In a stand mixer fitted with the whisk attachment, beat together 1 tub of whipped topping, cream cheese, 1/4 cup sugar, and almond extract. Spread over cooled crust. 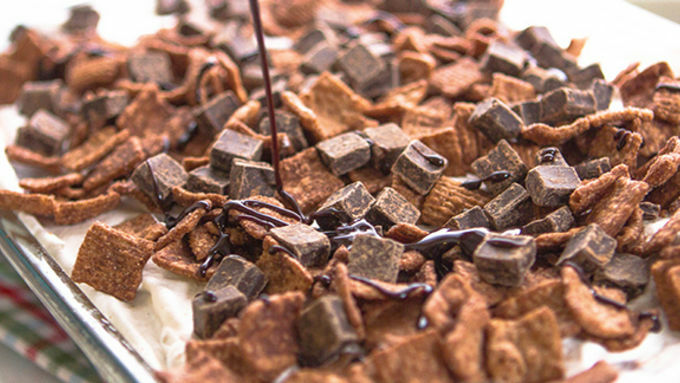 In a large bowl, fold together chocolate pudding, chocolate frosting, and 1 1/2 cups Chocolate Toast Crunch cereal. 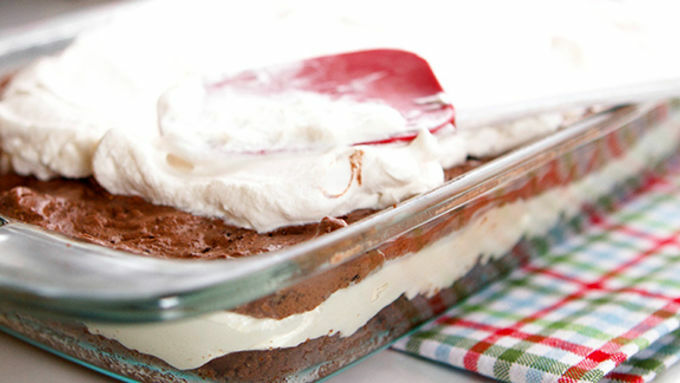 Spread over the cream cheese layer. Spread final tub of whipped topping over the pudding layer. Top with remaining Chocolate Toast Crunch, chocolate chunks, and hot fudge sauce. Refrigerate for 30-60 minutes before serving. Enjoy! Lasagna? For dessert? We promise – no noodles involved! 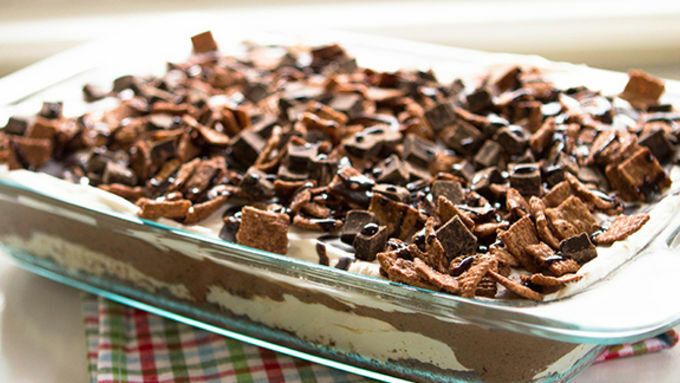 Just layers of chocolate and creamy, dreamy goodness. 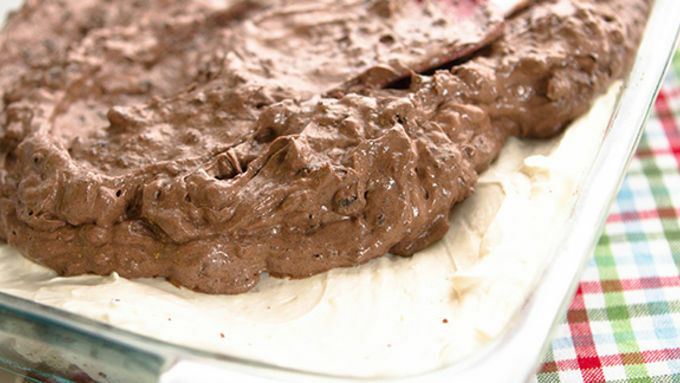 Get ready for decadence and delight – i.e., Chocolate Lasagna. It's coming to your kitchen. Stat. Start it all out with a chocolatey, butter crust. It makes this soft, delicious crust that’s denser than cake but perfect for being the bottom of this light, creamy chocolate wonder. 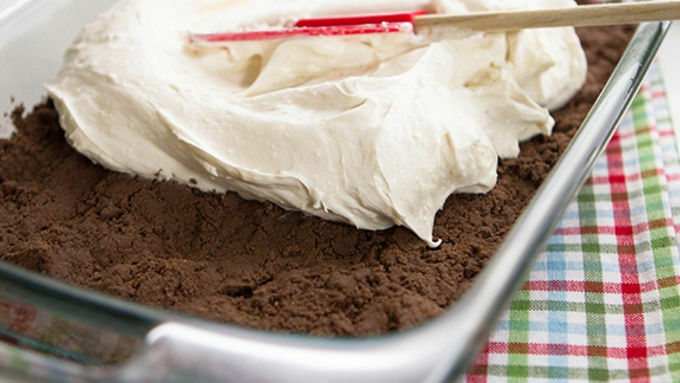 Once the chocolate cake layer is baked, you’ll top with a cream cheese and whipped cream mixture. In keeping with the original Chocolate Lasagna inspiration, almond extract is added. If you don’t like almond flavoring, you can totally leave it out, but if you love almond flavor – sweet Hannah! Be ready to be in heaven. 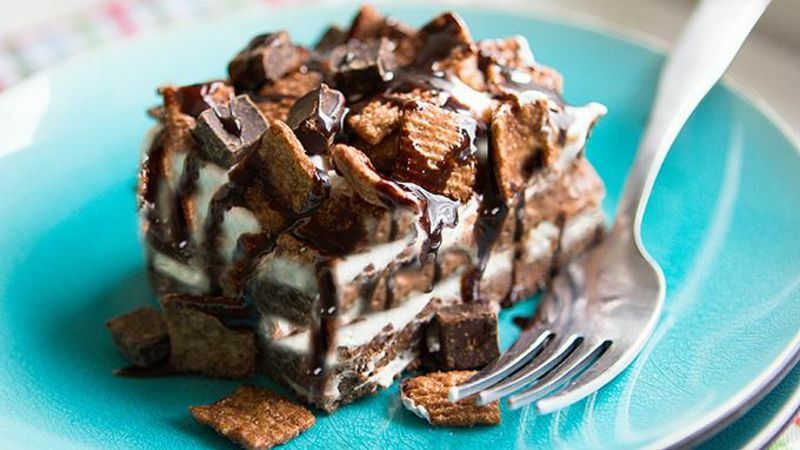 The Chocolate Toast Crunch cereal thickens the middle layer up a bit and adds some substance to the cake. A nice treat when you’re forking your face into it and discover layer after layer of things you wanna motorboat forever. The finished cake can be served right away, but works best if it’s had some time to chill in the refrigerator. If chilling in the refrigerator, don’t sprinkle the cereal topping on the whipped cream until right before you’re ready to serve. This will keep the topping crunchy! This yummy cake is a classic for parties and potlucks, making more than enough to share! When you’re here, you’re happy. Viva la Chocolate Lasagna!